On September 2, 1924, Maywood citizens voted to incorporate. By 1924, the population of Maywood had reached 1,000. The city featured homes, stores and a movie theater. Maywood celebrated its 25th Anniversary in 1949 with a rodeo, beard-growing contest and professional wrestling matches in the City park. 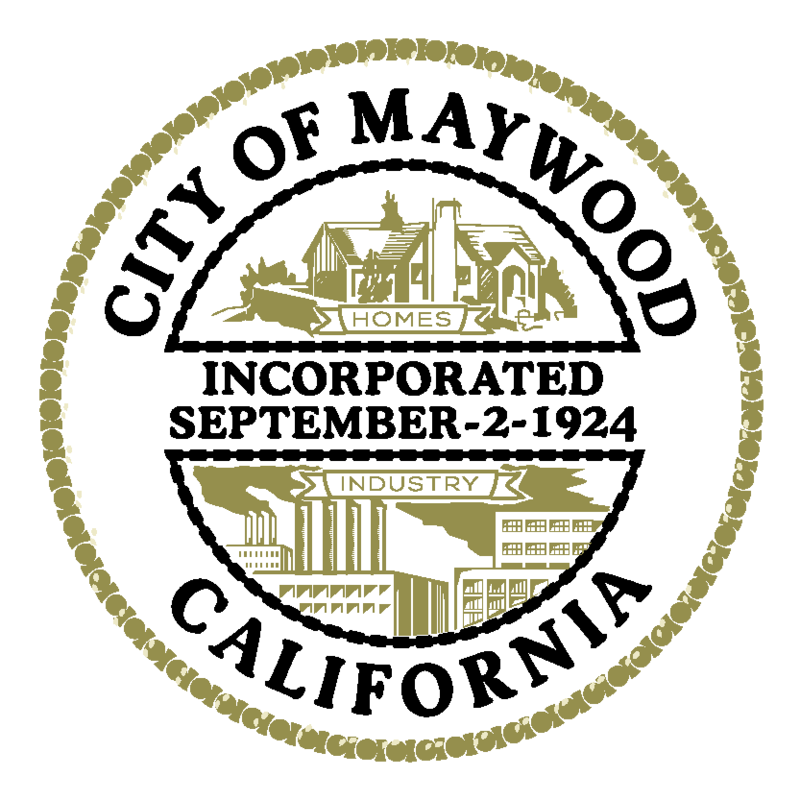 Maywood is proud of its Parks & Recreation Department which has its own long and interesting history. The Maywood Park, located at 58th St. and Heliotrope Ave., had its beginnings in the 1930's when the present day baseball field was a large meadow. In the early 1950's Maywood Park became the home of the Golden State Baseball Association. Now, more than 80 years since incorporation, Maywood retains its small atmosphere, though surrounded by a massive metropolis. Maywood still offers an ideal residential community for those who work in surrounding communities. As one looks around Maywood today, sweeping changes can be seen, such as four new shopping centers at the corner of Slauson Avenue and Atlantic Boulevard; a new senior citizens complex; a new 2.8 million dollar, Multi-Purpose facility, an industrial complex on Maywood Avenue, and numerous brand new businesses springing up in the city. Latitude N33 59 Min. 13 Sec. Longitude W 118 11 Min. 13 Sec.